I am thrilled to welcome Dr. Rodney Richardson who just started a postdoc in our group. Rodney joins us from Ohio State University where he pioneered methods for molecular diagnostic of pollen collected by honey bees. Here he is behind the BeeOMICS matrix! Welcome Rodney! 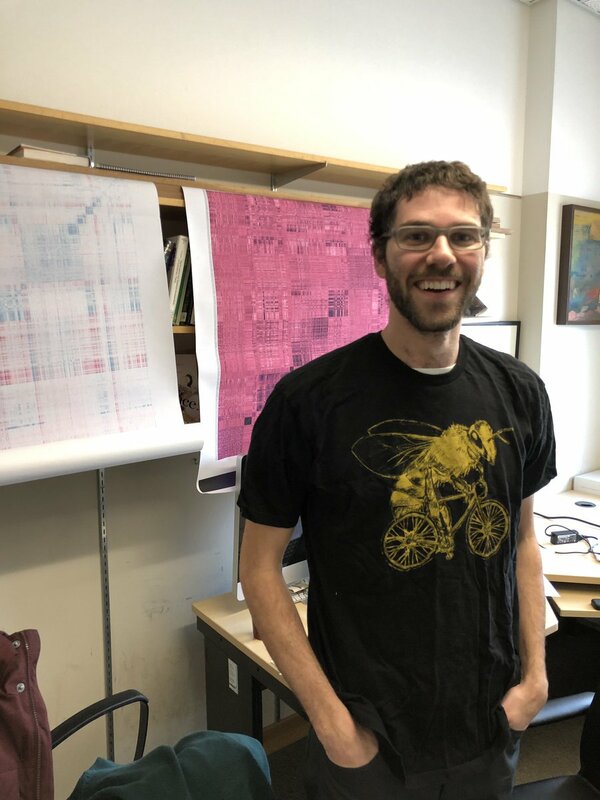 Then, there was this lovely (if i am say so myself) review on honey bee population and quantitative genomics by Katie D (PhD Candidate) in Current Opinion in Insect Science. Another with Drs. Nadine Chapman and Ben Oldroyd on the genetics of bees from Kangaroo Island. and yet another paper the Sydney bee crew; this time led by Dr. Nick Smith who spent a few month here as a visiting PhD fellow. Its an interesting look on balancing selection on cape bee genomes. Smith, N.M.A. Wade, C., Allsopp, M.H., Harpur, B.A., Zayed, A., Rose, S.A., Engelstädter, J., Chapman, N.C., Yagound, B., Oldryod, B.P. (2019) Strikingly high levels of heterozygosity despite 20 years of inbreeding in a clonal honey bee. Journal of Evolutionary Biology. 32:144-152. This is shaping up to be a very productive year! 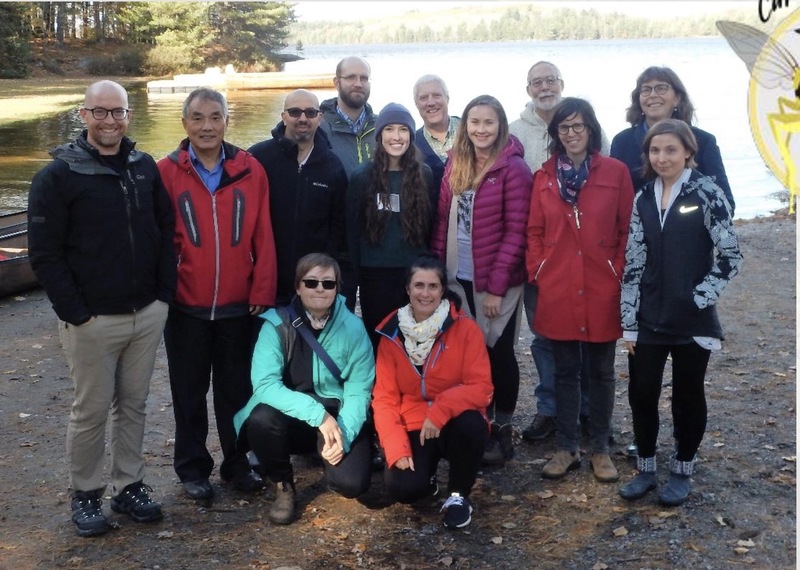 I am very happy to announce that I have been elected as the President of the Entomological Society of Ontario – Canada’s oldest entomological society! I will serve as President Elect till November 2019, then as President till November 2020, then as Past President till November 2021. Congrats to Nadia Tsvetkov (PhD candidate) for wining the Canadian Association of Professional Apiculturists Student Merit Award. 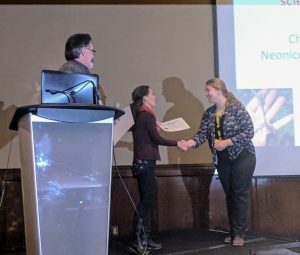 The Canadian Association of Professional Apiculturists Student Merit Award was established to recognize outstanding achievement by a student in the field of apiculture. Happy to announce the publication of the genome of the yellow banded bumblebee ; an at-risk species that has substantially declined in Canada and the US. The genome will help us better understand the factors underlying the species’s decline. Please check out the press release and the paper online. 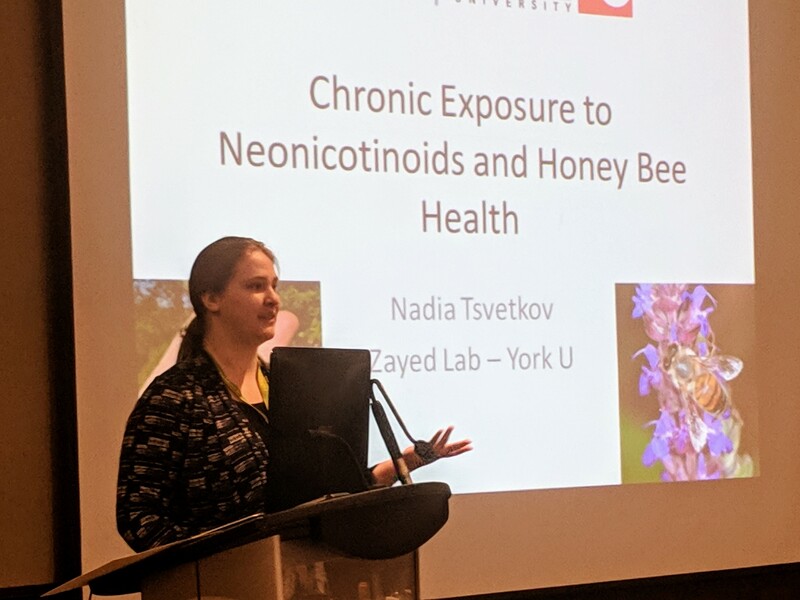 Nadia recently published a new assay for studying learning and memory in honey bees. The honey bee lab (www.yorku.ca/zayedlab) at York University’s Dept. of Biology (Toronto, Canada) has a position available for a postdoctoral fellow or research associate with demonstrable expertise in genomics and bioinformatics starting September 2018. We are particularly seeking individuals that have experiences in genome wide association studies. The successful candidate will participate in the ‘BeeOMICs’ project – a large-scale association study of honey bees comprised of over one thousand colony ‘genomes’ and many colony-level phenotypes. Qualified candidates are encouraged to submit a cover letter outlining their expertise, a CV, reprints of relevant papers, and contact information for 3 referees to honeybee@yorku.ca before August 25th. Compensation commensurate with experience. 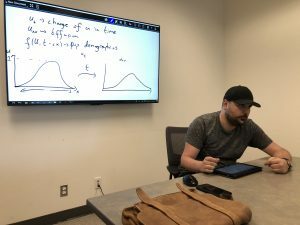 Just wanted to congratulate Dr. Matt Betti, who is leaving the lab to take up an Assistant Professor Position at Department of Math and Computer Science at Mount Allison University. 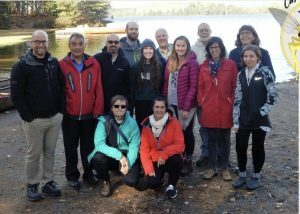 Matt was a co-supervised NSERC postdoctoral fellow in my lab and Dr. Jane Heffernan at the Dept. of Math. Here is a picture of Matt in action during a recent J. Club meeting. We will miss you Matt. Best of luck for the future! Happy to report the publication of a new paper from the lab, in collaboration with Drs. Amy Toth (Iowa State) and Laura Beani (Università di Firenze). The paper was led by PhD Candidate Katie Dogantzis, and involved generating new population genomics data for paper wasps and comparing the data to honey bees and bumblebees. We found that paper wasps and bumblebees have more in common, relative to paper wasps than honeybees, when it comes to adaptive changes in protein coding genes.